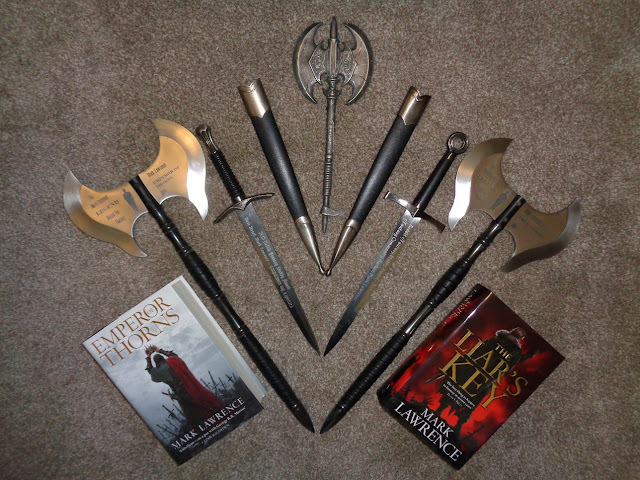 Mark Lawrence: The Stabby has landed! The Stabby Award that I won this year has had a storied journey to my house. It crossed the ocean and got as far as London then left for Bristol before vanishing off the tracking radar. Presumably it was within a few miles of my house ... though nobody told me. Then, after some nonsense with the erratic scammers who call themselves the UK customs service ... it was returned to America. Meanwhile the Stabby bound for Joe Abercrombie ten miles down the road sailed through without a hitch. Fortunately the heroic leader of r/fantasy, ElQuesoGrande, had my Stabby sent to him and then sent it to me hidden in a box packed with enough local wotsits and consumables to allow me to pass muster as a full-fledged Minnesotan! So I have it! 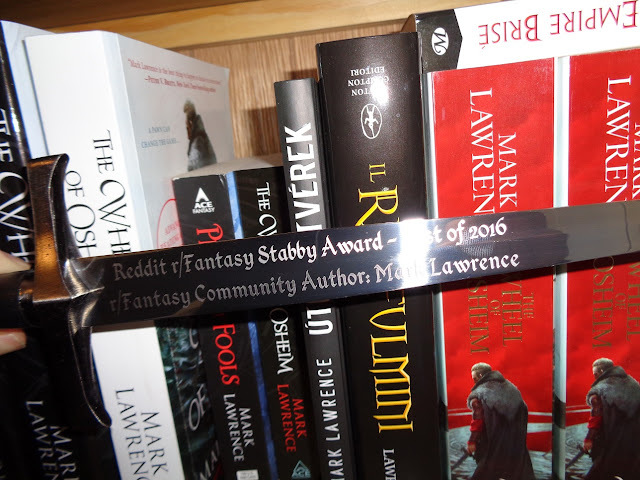 The award for being the most annoying author on r/fantasy! Scroll down to see the full collection. Here it is again, naked! The sharp-eyed among you will see that it even sports my finger-print so you can now frame me for crimes I probably would commit given the chance. 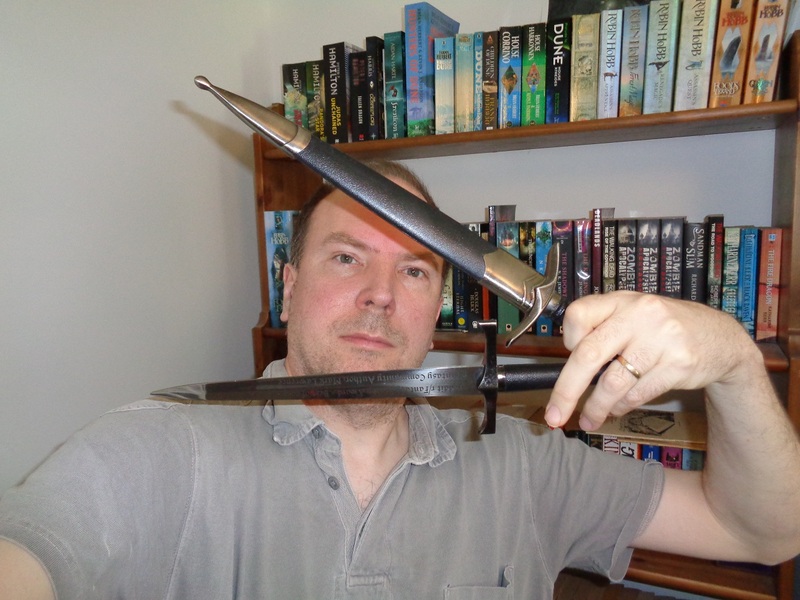 Here, for your viewing pleasure, I wield double Stabbies with a maladroitness that shouts, "Don't let this man be in charge of sharp things"! 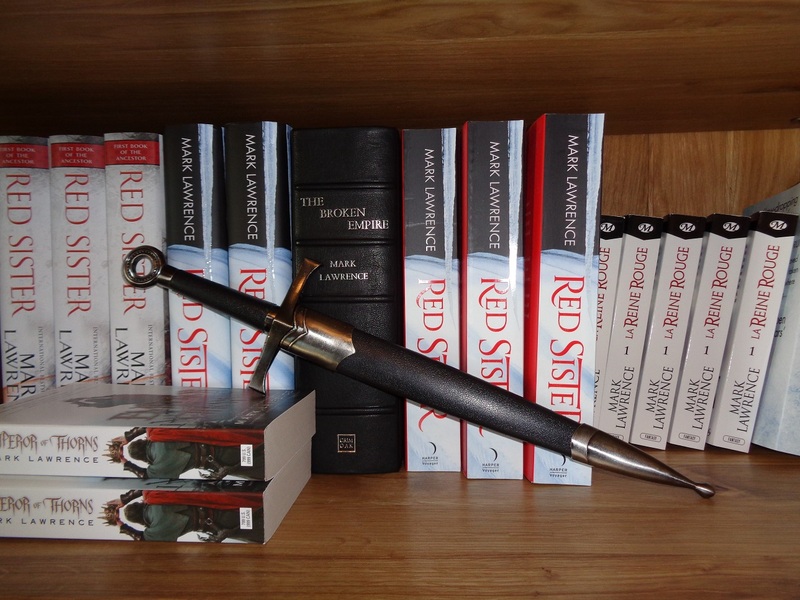 The older one was earned for me by Emperor of Thorns for "best novel". Congratulations on your fine collection and good luck in your endeavour for the Fluffy Bunny award ! I giggle at the idea of a childrens book written by Mark Lawrence. I wrote one a couple of years ago, about goblins! As I live in Minnesota, I am curious as to what the "local wotsits and consumables" are. As another Minnesotan, I am also curious. Pop, perhaps? Setting aside the impracticality of that actually being the case haha. Damn that Joe Abercrombie. I suspect both arrived at his house and he sent yours back. "Mark who? Never heard of him." And, for God's sake, be careful with those things. You're going to put your eye out! Well done Mark. Well deserved.